As my kids get older and make plans to leave the nest, many of my thoughts have turned back to my marriage and what the next season of life will look like as our kiddos, one by one, leave our home and begin families of their own. My Better Half and I have worked diligently over the past 24 years to make sure we have a strong marriage that will stand firm, even after the kids have left our home. But, as I’ve thought about our married life, I can’t help but think of the early years, those first several or realistically for us, the first seven years of marriage that we worked to get to know each other, to learn our likes and dislikes, and really to learn a TON about compromise, dying to self, and putting the other above myself. Marriage is HARD! Some of my hardest life lessons have been learned because of marriage. So I’m writing these posts to encourage and offer a little bit of information that may help others. These are things that I have observed over the past 24 years of my marriage. I am not a marriage counselor, but I’m wife who loves her husband very much and have had to learn some lessons the hard way. 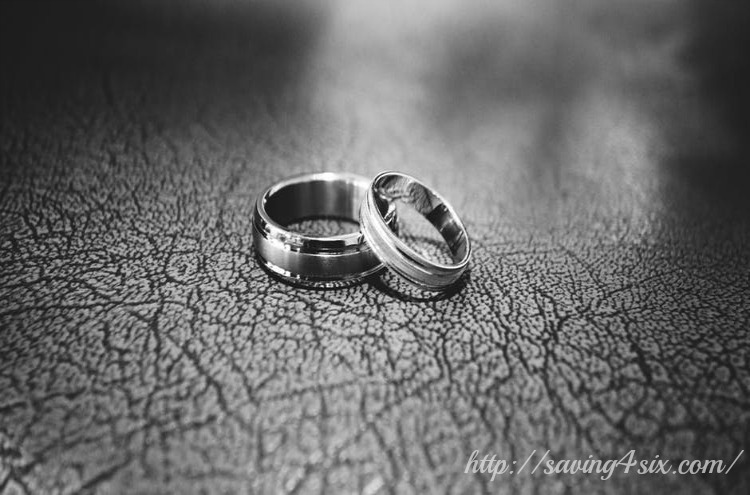 I would like to offer some insight that may save you some pain in your marriage. 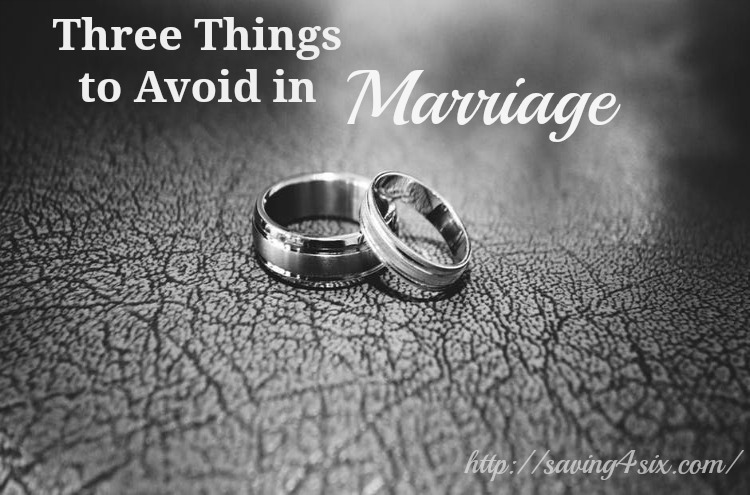 Today, that insight involves three things to avoid in marriage. Avoid the expectation that your spouse will change. When My Better Half and I got married, he regularly wore tight jeans (they were not in style then),camouflage pants, and Hawaiian shirts. I had big plans to turn him into the pretty, preppy boy that I wanted him to be. When he was at work one day, I purged all his clothes that I didn’t like and replaced them with ones I liked and expected him to wear. Change accomplished, right? WRONG!! Don’t get me wrong, for some time he wore the clothes I wanted him to wear because quite frankly, it’s all he had. But I didn’t change HIM, instead I embittered him by getting rid of his clothes without asking and suggested that he was inadequate by something so ridiculous as clothing choices. I know clothing may not be the best of examples, but really I’m trying to get the point across that going into marriage with the intent to change your spouse is really just asking for more trouble in marriage. My Better Half did eventually get better tastes in clothing and even recognized how much I praise his appearance when he wears something I like and in an attempt to make me happy, he often wears what I like to see on him. For the record however, he does occasionally pull out the camouflage and now I’ve learned to love that he enjoys all things manly including camouflage. An important word of caution on this matter, in my opinion, it is not a good idea to go into marriage thinking you will change your spouse. Don’t make your plans to change him and then marry him being certain he will change. In many cases, he will not change and you will be left disappointed. This is no way to start a marriage. 2. Avoid the expectation that your spouse will have the same interests and desires as you. My Better Half and I are very different. He participates in all things outdoor, takes naps, is reserved, and enjoys many more things that I do not like. When we first got married, I made pinto beans and cornbread for dinner and set it out for him to eat. He is not typically a picky eater so I never once considered that he wouldn’t like it. The good news is that he likes pinto beans and cornbread separately but not together. Growing up, the only way my family ate this meal was with our cornbread crumbled up and our beans over top of it. Well, My Better Half does not like soggy bread, so he ate his separately. When he didn’t eat it the way I did, I was immature and rude and got mad at him for not liking what I liked. Once again, this may seem like a trivial example, but the reality is, I wanted my husband to like what I liked and be interested in the same things and often responded sinfully when he didn’t. This is wrong and a recipe for disaster. Your spouse is a uniquely different person. Let them be that person. Let them do the things, eat the things, and participate in what they want and make efforts as their wife to enter in to those things. I know it has made my life easier and our love more special. 3. Avoid the expectation that your spouse can read your mind. In my opinion this is one of the most devastating things that needs to be avoided in marriage. Your spouse CANNOT read your mind. Your spouse CANNOT read your mind. Yes, I wrote it twice, I would write it a many more times if I thought it would help. Expecting your spouse to read your mind will cause NOTHING BUT DISAPPOINTMENT!! 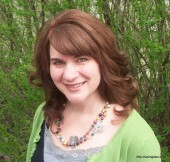 Expecting your spouse to read you mind WILL SET YOU UP FOR DISCOURAGEMENT! Expecting your spouse to read your mind is an UNREALISTIC EXPECTATION! 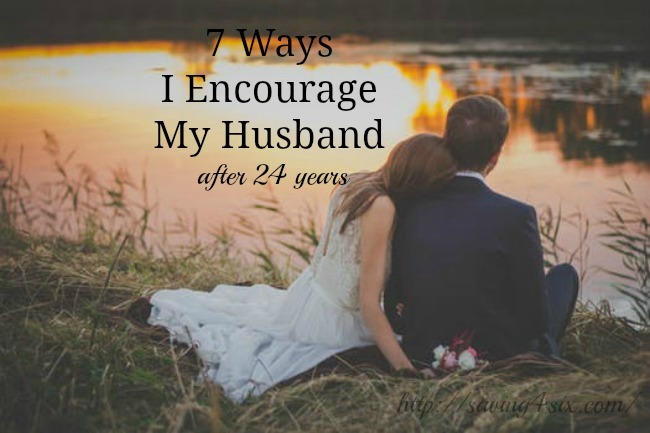 Ladies, I wasted many precious years getting frustrated with my husband when he didn’t know what I wanted or expected from him. I responded poorly to him when he didn’t read my mind, not really processing the reality that it was impossible for him to do so. Please don’t make this mistake. If you have a need or desire, communicate it to your spouse. The results will most likely be better than if you expect him to figure your wants out on his own. I could have added more things to my list of things to avoid in marriage, but I genuinely believe if I had thought about these and put them into practice early on in my marriage I would have saved myself a lot of heartache and would have avoided a boatload of turmoil between me and My Better Half. I encourage anyone to consider these things, not just in marriage but really in any relationship. Unrealistic expectations and presumptions will harm a relationship.